Oil prices rose on Friday morning as markets hope OPEC and partners will take action to reverse bearish sentiment. Oil prices posted some gains on Thursday and in early trading on Friday, rising on the hope that OPEC+ might agree to a production cut in early December. IEA: OPEC achieved objective. The IEA said in its latest Oil Market Report that the OPEC+ coalition had largely succeeded in heading off the tightening oil market. Major oil producers within OPEC+ may not be that pleased with the price decline, but the IEA welcomed the surge in supply. “Rising stocks should be welcomed as a form of insurance, rather than a threat,” the agency said Wednesday. Saudi Arabia angered by Trump waivers. Reuters reports that Saudi officials were reportedly caught off guard by the degree to which the Trump administration offered waivers on Iran sanctions. 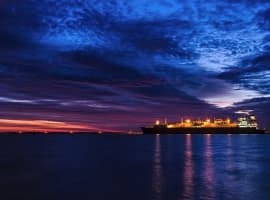 The waivers to eight countries will largely allow Iran to continue exporting oil and it effectively caps the potential outages from Iran in the short run. Those waivers are widely cited as one of the most important drivers in the recent oil price meltdown, something that Riyadh is not happy about. Saudi Arabia ramped up supply on the understanding that Iran’s exports would be going offline. Saudi sources told Reuters that the Saudi government feels betrayed by the Trump administration and that they are more determined than ever to engineer a production cut in order to put a floor beneath prices. Riyadh already announced that it would cut exports by 500,000 bpd in December. Russia hesitates on production cuts. A senior Russian official told Reuters that Russia was not keen on reducing output, despite reports that OPEC+ is considering such an option. “I think (oil) production should not be lowered. Yes, we have done this in the past but this was not the right systematic approach,” a senior Russian government source said. Russian President Vladimir Putin was more careful and non-committal in recent comments, saying only that Russia will continue to cooperate with OPEC. 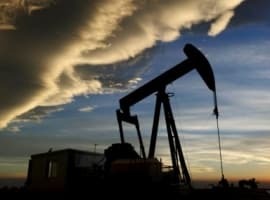 U.S. shale finally profitable. The U.S. shale industry suffered from years of red ink but is now becoming profitable – at least some companies are. A Reuters survey of 32 shale companies found that a third of them are cash flow positive, up from just 3 out of 32 a year earlier. However, the 32 companies still posted a collective cash flow deficit of $945 million in the third quarter, although that was sharply lower than the $4.92 billion deficit a year earlier. Brain drain at Pemex? Bloomberg raises the possibility that Mexico’s Pemex sees a brain drain under the new administration. Lower salaries and political interference could be on the table, which could lead to an exodus of some of Pemex’s technical staff. Oil price collapse could hit junk bonds. Shale companies dependent on junk bonds for funding could be in trouble with the collapse of oil prices. The value of junk bonds fell to the lowest level in the last two years this week. Oil and gas output up with fewer wells. U.S. oil and gas production surged last year, and remarkably, the gains were achieved with fewer wells. In 2017, the total number of producing wells fell to 991,000 across the country, down from a peak of 1,039,000 wells in 2014. Advances in drilling technology have helped the industry produce more with fewer and fewer wells. Muted gasoline demand. The rise in oil prices this year, along with the weakening of emerging market currencies, has depressed demand in much of the world. Gasoline futures opened up a discount relative to Brent crude this week, a relationship that usually trades in the other direction. Bloomberg notes that the discount suggests weak global demand for gasoline. Natural gas prices spike, fall back. Natural gas prices saw heightened volatility this week as cold weather swept across the country. Henry Hub prices spiked to $4.80/MMBtu on Wednesday, before falling back to $4/MMBtu on Thursday. Prices were up again in early trading on Friday. The U.S. is entering the winter drawdown season with inventories at a 13-year low, which should ensure ongoing volatility this winter. 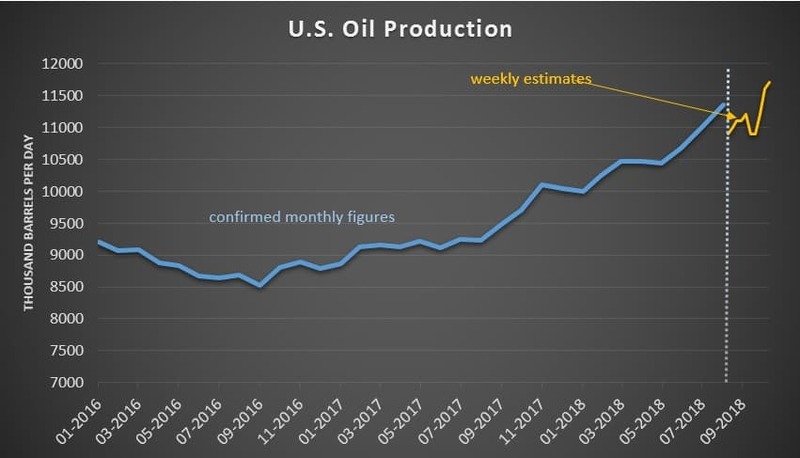 Still, analysts expect the high prices to be temporary as record-breaking upstream production should replenish inventories in 2019. Germany and Japan see weak GDP. More signs of a global economic slowdown came from Germany and Japan, which revealed a contraction in GDP in the third quarter. Economic weakness is starting to impact oil demand forecasts. Drilling services picking up. 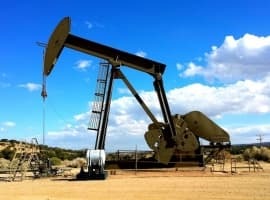 The oil industry is expected to drill and complete 72,000 wells around the world in 2019, up 3 percent from this year, according to Rystad Energy. Well completion activity hit a low point in 2016, but has grown 30 percent since then. Rystad expects drilling and completion activity to grow by 4 percent per year through 2021. Oil prices are volatile by definition because they are always subjected to various economic and geopolitical pressures virtually on daily basis. That is why one shouldn’t be surprised to see oil prices shuttling between bull and bear markets all the time. OPEC members are well advised to wait before considering any production cuts. In October oil hit $87 a barrel. Today it is $67. 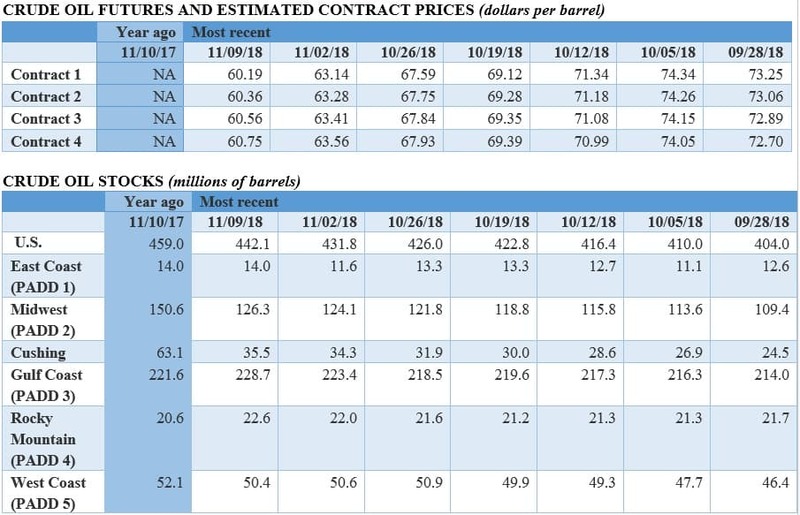 Tomorrow the markets could change from bearish to bullish sending prices up to $80 since the robust fundamentals of the global oil market are still the same as they were in October when the oil price hit $87. These fundamentals could still support an oil price ranging from $80-$85 before the end of the year. If Saudi Arabia is keen on cutting production, then it can withdraw the 400,000 barrels a day (b/d) it added to the market a month ago under intense pressure from President Trump without having to involve OPEC in any new cuts. You mention in your article that the US sanction waivers issued to eight purchasers of Iranian crude oil are widely cited as one of the most important drivers in the recent oil price meltdown. Nothing is further from the truth. The recent decline of oil prices has hardly anything to do with US policies, US oil production, the waivers on Iran’s sanctions and the trade war with China as Citi’s Ed Morse claimed. If that is the case, then why does President Trump keep haranguing OPEC to raise production to keep prices down. It points to one thing: EIA’s claims are plain untruths. The recent slump in oil prices is no more than a realization by the global oil market that US sanctions have not cost Iranian crude oil exports a single barrel so far. 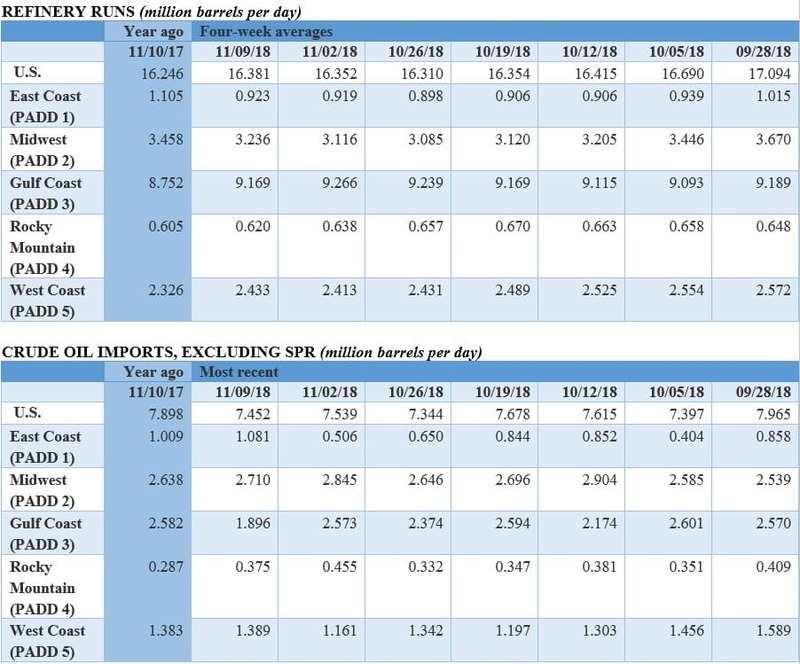 The market has been bombarded before the sanctions went into force on a daily basis with projections that Iran could lose between 500,000 barrels a day (b/d) to 1.5 millon barrels a day (mbd) of its exports. This has not materialized. Furthermore, the issuing of sanction waivers to eight countries who didn’t need them in the first place and who would have continued to buy Iranian crude with or without waivers is the clearest admission by the United States that their zero option is out of reach and that sanctions are doomed to fail. Moreover, the eight recipients of the waivers have neither increased or decreased their purchases of Iranian crude as a result of the waivers. Since the diversification of its economy in 2014, the Russian economy can now live with an oil price of $40 or less. Moreover, Russia’s budget dependence on oil and gas export revenues has declined for 68% in 2014 to 40% now. Therefore, a price of $70 per barrel suits the Russian budget perfectly well considering that the expenditure side of their budget is based on $40 per barrel. This may explain why Russia is not in a rush to join OPEC in any plans to cut production. And whilst the escalating trade war between the US and China has created uncertainty in the global economy, it didn’t in any way dampen China’s oil demand as Ed Morse claims. On the contrary China’s oil imports have grown faster than anytime before and are projected to go much higher than 10 mbd and could even hit 11 mbd this year.